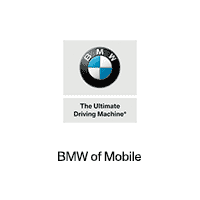 BMW of Mobile’s professional financing staff is your solution to securing a BMW car loan or lease in the Mobile area. Get started by filling out our convenient financing application form below. Have questions? Give us a call at 251-220-2851, and one of our experienced car loan specialists would be happy to help you out. Stop by our showroom during regular business hours at 3025 Government Boulevard to visit us in person, or to take a test drive in your future new or pre-owned BMW. Let BMW of Mobile create a financing plan for your next new BMW, or a quality pre-owned car.